A New Year's Greeting from long time customer Jane H. included this recipe she recently tried and found it delicious. Thank you, Jane! Remove the leaves from the thick center, cut into small pieces. Wash and thoroughly dry kale. 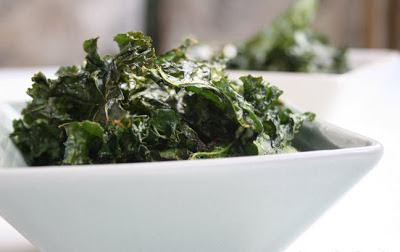 Toss kale with olive oil and sprinkle with salt and seasons. 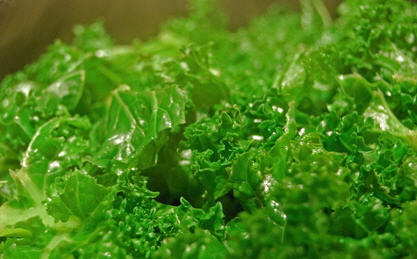 Arrange kale on baking tray in a single layer. Bake until the edges brown but not burnt, (10 - 20 min.or until crisp).